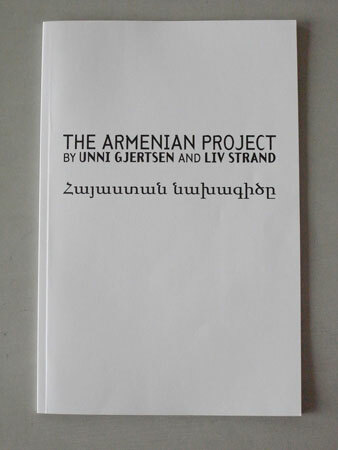 The Armenian Project is a publication that is the result of an artistic collaboration between Unni Gjertsen and Liv Strand, using the research journey to Armenia in June 2009 as it’s starting point. 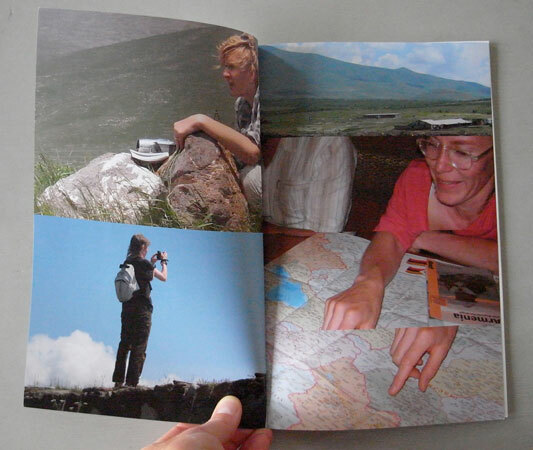 The text in the publication is a record of processes and observations from the journey. 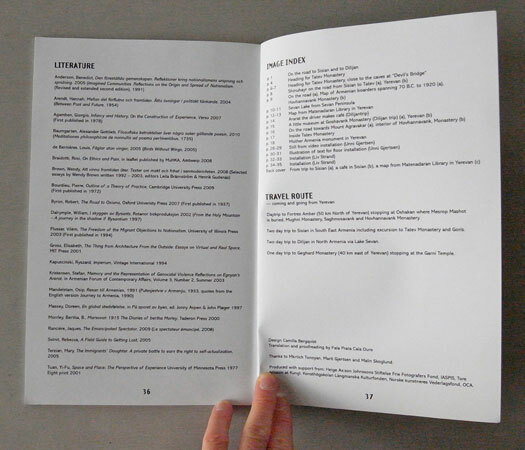 The project was showed in August 2011 at 0047 in Oslo, The Armenian Project – Tales of Fraternity, Power and Time, where the art works that came out of the journey was exhibited in the same room, overlapping each other in the space. The art work is named Quicksand frontier, under-standing. The Armenian Project has been presented earlier, as a work in progress, as part of The Eternal Tour 2010, a nomadic art festival in Jerusalem and Ramallah. Design by Camilla Bergqvist. Editorial reading by Annika Ruth Persson. Translation and proofreading by Fala Prata Cala Ouro and Steven Cuzner. Thanks to Mkrtich Tonoyan, Marit Gjertsen and Malin Skoglund. Helge Ax:son Johnssons Stiftelse Frie Fotografers Fond, IASPIS, Tore Nilsson at Kungl. Konsthögskolan Längmanska Kulturfonden, Norske kunstneres Vederlagsfond, OCA.